Ultram and Tramadol are one and the same medication. Ultram is the trade name of Tramadol, a synthetic analgesic that relieves pain. Although it is technically not a narcotic like morphine, Tramadol works similarly in relieving moderate to severe pain. Ultram ER, the extended-release forms of tramadol, is used for chronic pain for continous and long-term treatment. Similar to morphine in mechanism of action, tramadol binds to opiod receptors in the brain and disrupts the transmission of pain sensation throughout the body. Just like narcotics, it can be addicitve and has a high risk of abuse. According to statistics, this medication is mostly abused by narcotic addicts, chronic pain patients and health professionals. It is not recommended for individuals who have history of alcohol and drug abuse to take these medications. Additionally, Tramadol is not a NSAID like tylenol that may cause bleeding and stomach ulcers. Since it does not irritate the stomach, it can be taken with or without food. Tramadol is a presciption drug that is taken orally. It comes in tablets, which are either immediate release or extended-release. Immediate release Ultram and Tramadol tablets come in 50 mg, while extended-release Tramadol tablets come in 100, 200 and 300 mg forms. To maintain its potency, pill should ideally be stored in a sealed container at a room temperature of 59 to 86 Fahrenheit. For immediate release tablets , the recommended dose is 50-100 mg at intervals of 4-6 hours as needed for pain. A person should take a maximum of 400 mg of Tramadol a day. The starting dose could be at 25 mg per day, to be increased by 25 mg every 4 days until the patient is taking 25 mg four times a day. For extended release tablets, the maximum dose of Tramadol is 100 mg per day. Dose may be increased by 100 mg every 5 days up to a maximum of 300 mg per day. As they are designed to be gradually released in the body, extended-release tablets should be swallowed whole rather than crushed or chewed. Ultram and Tramadol are well tolerated by most people with side effects only temporary. Common side effects reported by people taking the medication include nausea and vomiting, constipation, headache, dizziness and drowsiness. Symptoms may also include itching, increased sweating, dry mouth, rash, visual disturbances, vertigo and diarrhea. There are also reported episodes of seizure after taking this medication. People who plan to stop taking Ultram and Tramadol should receive the medication in tapered doses. Tapering of doses involves gradually decreasing the dose of the drug to prevent the symptoms of abrupt withdrawal, which include anxiety, insomnia, hallucination, increased sweating, pain, diarrhea, rigors and tremors. Ultram and Tramadol have undesirable interactions with other drugs. For instance, carbamazepine reduces the effectiveness of active ingredience. Those taking Ultram and MAOI’s (Parnate) and SSRI’s (Prozac), may experience severe seizures or a condition known as serotonin syndrome. 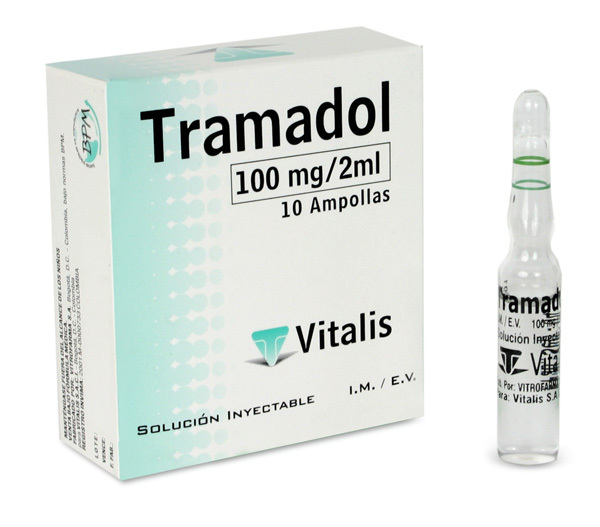 When taken with alcohol, anesthetics, narcotics, tranquilizers and sedative hypnotics, tramadol can cause life-threatening respiratory and nervous system depression. Tramadol Addiction – Is It Possible?